This term the grade 7’s have many tests, projects, assignments and so much more. Everyone is barely keeping their heads above water but there is one project that seems more interesting and less boring than all the others. It is the STEM (Science Technology, Engineering and Mathematics) Hydraulic robot hand. This project helps us understand the basics of engineering and design. It enhances our creative minds and improves our hand skills. 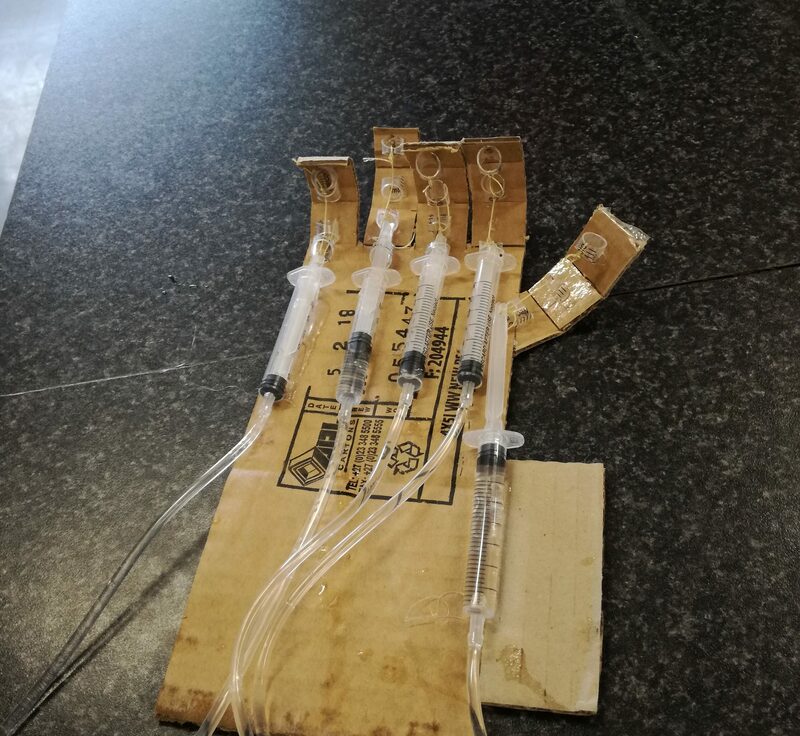 This STEM project shows as that when you push the plunger on one syringe the water will go through the plastic tubing pushing the plunger of the other syringe. This is called hydraulics as you use a pressurized liquid (water) to cause motion. The pieces of cut up straw (syringe) would act as the joints of the hand and the thread (string) would act as the tendons. The following provides links to videos that could help those of you that need inspiration or just to remember the steps. Remember all of your materials and stay safe when using the craft knife/scissor.